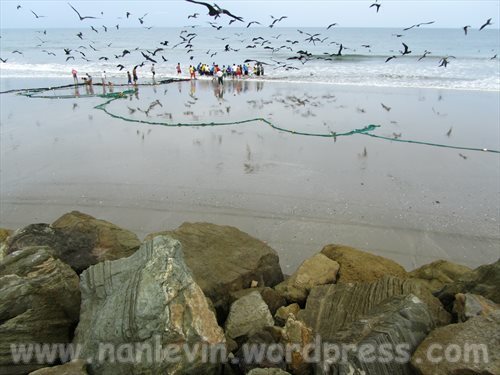 When the fishermen are pulling in the nets they start out with as little as five guys to each side. 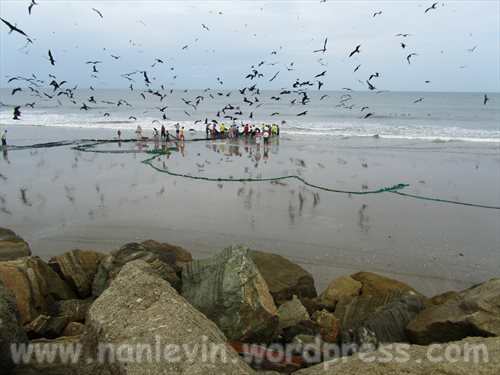 By the time the nets are hauled in there can be as many as 50 people and hundreds of frigate birds and pelicans ready to share in the haul. I felt that the reflection of the wet sand made for a very interesting photo. Hope you enjoy your day as much as we will. 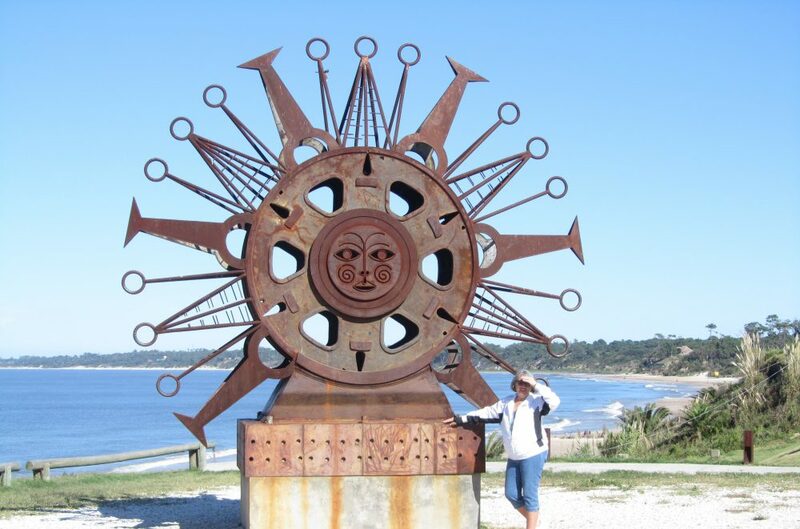 This entry was posted in Beach, Ecuador, Fish, Fishing, San Clemente and tagged Beach living, Ecuador, Expats, Fish, San Clemente, South American by Nancy Levin. Bookmark the permalink. 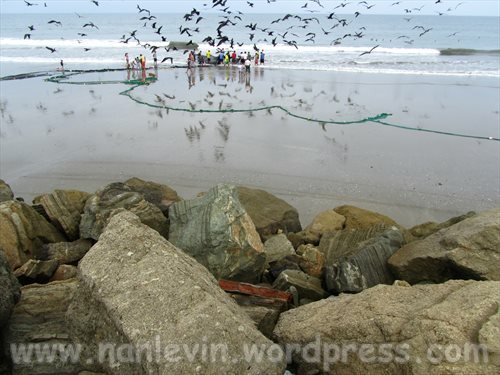 Love the photos … miss the fishermen bringing in their nets … the highlight of most of our days in San Clemente.